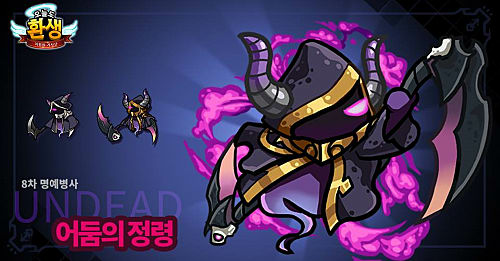 Endless Frontier got some new Honor Units in Korea and, as one might expect, they look like they're going to change the meta completely just as with the last wave of Honor Units. There's one unit per tribe in this update, each one with direct combat benefits as well as general quality of life improvements should you have them. It may very well be a good idea to stockpile Honor Coins from here on out to make sure you can buy a few of these units as soon as they hit the international version of the game. Each will cost 4400 Honor Coins on release. This isn't so much a guide as it is just laying out each of the new Honor Units' unit details in English. I am not fluent in Korean so there are bound to be a few mistakes, but this should give you the gist of each of these new powerhouses before they make their way to our servers in the coming months. The base stats are for the 5-star (non-seniored) versions of these units, and the increases granted by their special abilities list both the 5 and 6-star numbers with the 6-star numbers in parenthesis. 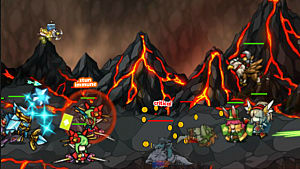 Normal attack: Attacks up to 3 enemies with fireballs that stun. 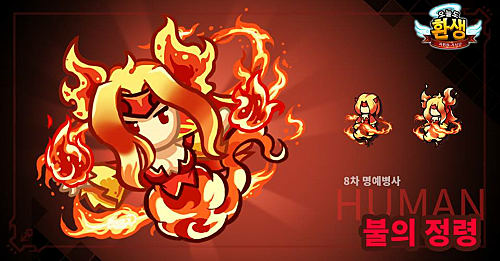 Skill attack: Summons flaming whirlwinds that damage and paralyze enemies. Special ability 1: Increases the basic game speed by 4% (8%). Special ability 2: Increases human movement speed by 3% (6%) and attack speed by 4% (7%). Special ability 3: Immune to terrain damage on stage 10000+. Special ability 4: Appears quickly and is not disrupted by attacks. This unit appears to be a flying one, but I can neither confirm nor deny this at this time. Normal attack: Throws a large field of darkness that damages many enemies. 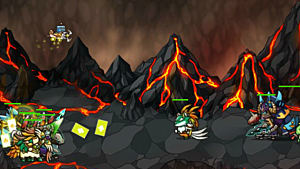 Skill attack: Attacks several enemies with dark energy, stunning and paralyzing them. Special ability 2: Increase the undead movement speed by 3% (6%) and attack speed by 4% (7%). Normal attack: Throws a slowing projectile at an enemy. 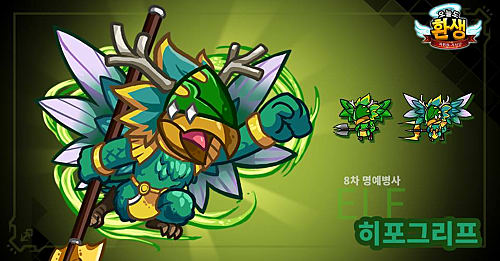 Skill attack: Blows a wave of feathers at enemies, slowing them and knocking them back. Special ability 2: Increase the elf movement speed by 3% (6%) and attack speed by 4% (7%). Ancient Forest Legend: When the Elf Secret Skill procs there is a 2% (5%) chance it will skip two stages instead of one. Only applies when the unit is on a team and cannot exceed a 50% chance. 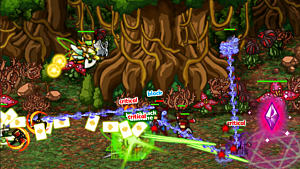 Normal attack: Efficiently slices several enemies at the same time. 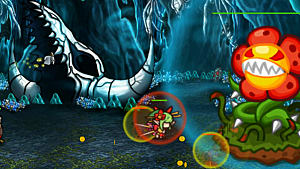 Skill attack: Attacks with a giant circular weapon and moves closer to enemies. 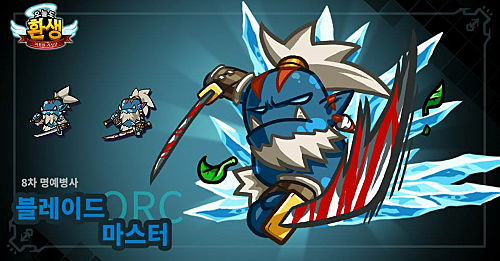 Special ability 2: Increase the orc movement speed by 3% (6%) and attack speed by 4% (7%). Special ability 4: Quickly dash to the first enemy. Special ability 5: Immune to paralyze and freeze. Less affected by knockback attacks. While the Hippogryph is most certainly a support, that doesn't seem to be the case for the Blade Master. As for the Fire Elemental and Spirit of Darkness, we'll have to wait to find out. It generally takes about a month for Korean patches to hit the international version so we'll just have to wait and see what these units can really do come the next big patch. For now, here's the gist of what's to come. I hope this helps you plan your future teams! 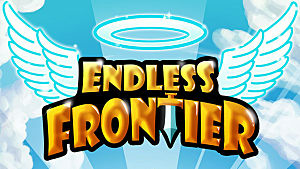 Endless Frontier - What Is the New Spirit Rest Function? 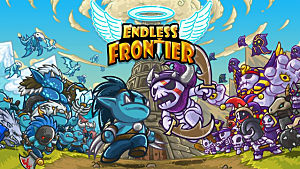 Endless Frontier - What Does "Pick Honor Unit" Do?